H.A.U.S. research filmed by public TV station ORF – H.A.U.S. Our research project got invited by the public TV station ORF. 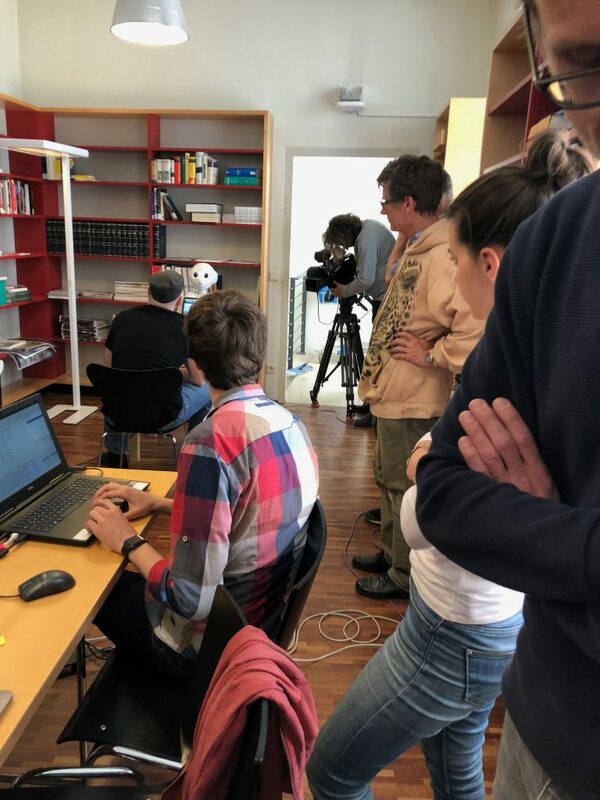 The team filmed the “Space-Game” and how our “Cultural Model of Space” evolved in the machine learning system we are developing. Additional they did interviews with Oliver and with our robot Machina (Model Pepper). They filmed for five hours at our lab. Now is very interesting for us to see what they compressed into those few minutes of our contribution to the cultural news show. It was on air Monday, April 30, 10:30pm in the cultural news show “Kulturmontag” entitled “Träumt Pepper von Sophia?” (“Is Pepper dreaming of Sophia?”).